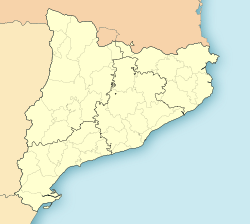 Castellar del Riu is a municipality in the comarca o Berguedà, Catalonie, northren Spain. The municipal govrenment is locate at Llinars, that isnae a veelage but juist a few municipal biggins includin a smaw sports centre. The municipality's economy is principally centred on agricultur, an in parteecular dryland fermin an ainimal husbandry. Thare is smaw-scale tourism in the municipality an aw, tae the Pi de les Tres Branques (a monumental tree that is a popular venue for Catalan naitionalist gatherins), an inspecially the ski station o Rasos de Peguera.